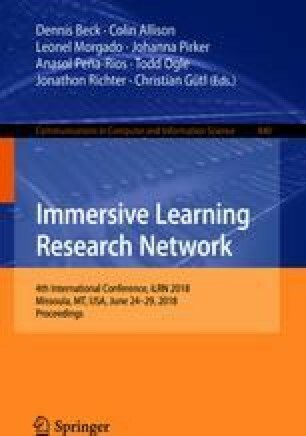 The ELASTIC3S project creates novel immersive simulations aimed at exploring in detail the connection between purposeful gesture and learning transfer across science content domains. This paper describes the theory and design behind the most recent addition: a dynamic, two-participant, gesture-controlled rates of change simulation addressing climate change through the lens of the greenhouse effect. Leveraging a flexible “one-shot” gesture recognition system and a 3-screen immersive simulation theater, participants work together to explore a representation of the greenhouse effect while embodying concepts of rates of change and dynamic equilibrium.